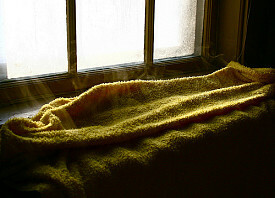 Does your Chicago heating system rely heavily on old steam radiators? You're not the only one -- across the US, this type of heating is common, with some systems boasting radiators that are decades or even a century old. "If it ain't broke, don't fix it" is an old eco-adage, but no one said anything about upgrading...which is precisely what you can do to get your radiators working more efficiently for the duration of their lives. Every time the heat clanks on, it may sound like midgets are trapped inside your radiators (that's actually a sign that something is wrong, and you should call a pro in to take a look), but they aren't very smart, as you may have noticed when the temperature approaches boiling hot and you're wearing tank tops while it's -10 outside. That's because adjusting individual temperatures usually requires fiddling with hard-to-reach knobs. Radiators aren't easy to use, nor are they programmable, like smart thermostats. You can change all that by switching out that old valve with a thermostatic one, allowing for much better temperature control. Better yet, you don't need to be a wildly experienced handyman to do it, although you can, of course, hire a handyman if you're feeling a little shaky. 1. Start by draining your radiators. This can get messy, so be sure to wear clothes you're not deeply attached to (better leave that Vera Wang in the closet for now) and spread plastic over the floor to contain spills. 2. Remove the old valve and spud (the part that connects the radiator itself to the valve). You'll need a specialized tool to remove the spud, so be sure to pick that up when you buy your replacement spud and thermostatic valve at the hardware store to avoid a "d'oh!" moment. 3. Once you've taken the valve and spud apart, basically do the same thing in reverse with the new valve and spud, assisted by some pipe sealant, single-strand wicking, and pipe dope to make sure it's well sealed. You definitely don't want any leaks when you're done, as these can damage flooring and cause other problems. 4. When you're done, attach the sensor to the side of the radiator cover, connect the sensor to the valve, and put the cover back in place. Your finished project will greatly increase energy efficiency on a room by room level. Your boiler won't have to work as hard to heat empty, unused rooms or to keep the house hot at night when people are sleeping, and you'll have a much lower energy bill as a result! Not bad for a day's work, eh?